A top offensive player for the Florida Gators football team was one of seven members suspended for the first game of the season to take place on September 2, 2017 against University of Michigan. The Tampa Bay Times reports that none of the players has been charged with a crime, but there both rumor and evidence showing that marijuana usage and possession is involved. If police do determine that enough proof exists to make arrests, the accused individuals may be able to take advantage of diversion programs or other options for resolving drug crimes under Florida law. Whether you’re actually guilty of the offense. Pretrial Diversion: An option for first-time offenders that didn’t demonstrate violence in committing the crime, pretrial diversion may be an option. The program is similar to probation, which means you must strictly comply with the terms of the order – such as reporting monthly, submitting to drug testing, and avoiding criminal activity. Once you complete the terms of pretrial diversion, the charges are dropped entirely. Pretrial Intervention: Another program that’s similar to probation, pretrial intervention allows you to qualify even if you have a criminal record. You must report periodically to the court, participate in drug treatment, refrain from criminal activity, and adhere to other specific terms ordered by the court. The charges will be dropped when you successfully comply with all requirements issued. 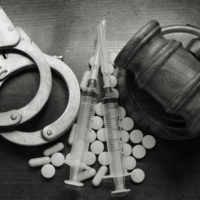 Drug Court: Repeat offenders are the focus of drug court, which is a program intended to keep certain individuals out of the formal criminal justice system – instead steering them to seek treatment and engage in productive, non-criminal lifestyle choices. The approach in drug court is tailored to the individual, such as through case management and progress reports. A judge addresses issues of non-compliance and discusses recommendations with case workers to impose appropriates consequences. Again, the charges are dropped upon successful completion of the program. State law provides different options for resolve certain drug crimes, but the rules for eligibility are complicated. Plus, the regulations stating qualifications are quite detailed, meaning strict compliance is critical to taking advantage of the benefits. It’s wise to retain an experienced lawyer to assist you with diversion and intervention programs, especially in discussions with the prosecuting attorney in your case. Fort Lauderdale lawyer Kevin J. Kulik has extensive experience representing clients facing drug crimes charges, helping them resolve their case without extensive jail sentences. Please contact our office today for a confidential consultation or with questions about your options.